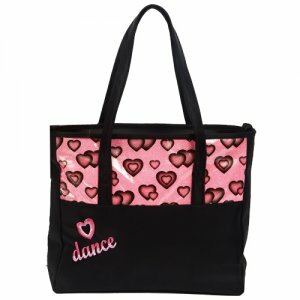 Stylish bag made with black microfiber accented by the pink vinyl top covered with hearts and glitter. The front has a rich satin embroidered dance logo. There are 2 inner open pockets and 1 zipper pocket.